What Are the Interior Features of the 2019 Hyundai Kona? Named 2019 North American Utility Vehicle of the Year, the 2019 Hyundai Kona delivers remarkable value with an impressive list of standard and available features. Between safety, technology and convenience, this crossover has everything you need to make your on-road experience gratifying. Keep reading to learn about what interior features are offered in the 2019 Hyundai Kona. At its base trim level, the Kona’s standard infotainment system includes a 7-inch touchscreen display with Apple CarPlay and Android Auto. The crossover SUV also comes standard with two USB ports, so you won’t need to grapple with special car chargers. On select trim levels, Kona owners can also enjoy the available premium audio system complete with two front-door-mounted speakers, two tweeters, two rear speakers and a subwoofer. The available Blue Link® Connected Car Service gives you access to functions like remote lock, remote engine start and climate control from compatible devices, including smartphones, smartwatches, Amazon Echo and Google Home. In the event that your vehicle is stolen, Blue Link Customer Care can even help locate and immobilize your vehicle so it can be recovered. Read More: What is Hyundai Blue Link? 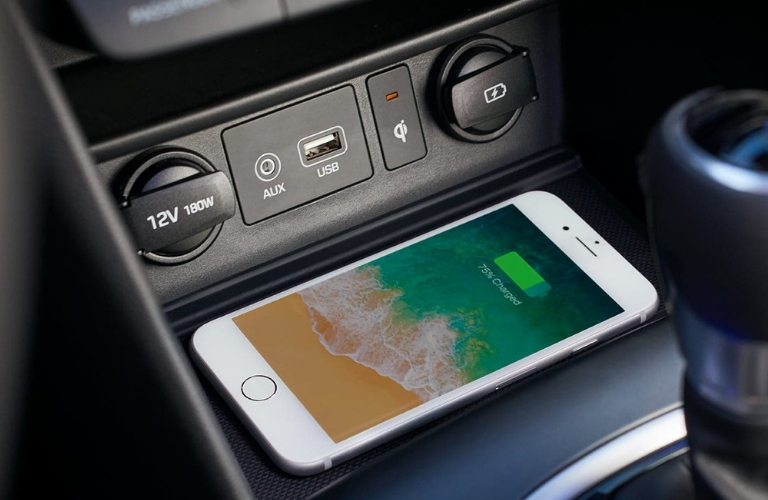 Those who upgrade to the Kona Ultimate, the model’s highest trim level, can enjoy a standard wireless charging pad located on the center console. 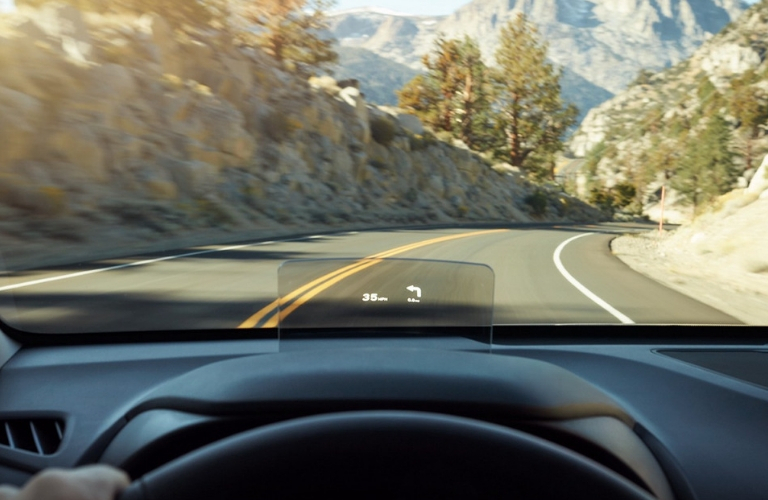 With a starting MSRP of $26,250, the Kona Ultimate gains a Heads-up Display, which provides key safety, navigation and audio information on a transparent pop-up screen right on your windshield. 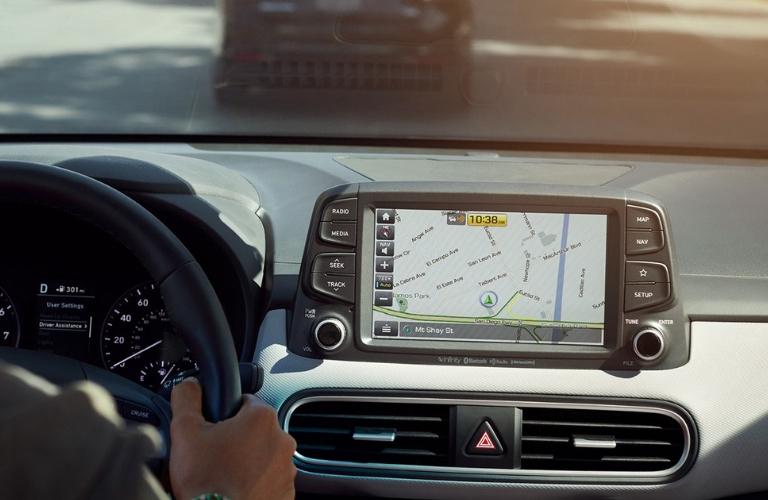 This trim also gets a larger, 8-inch touchscreen with added navigation functionality. Interested in this model? Check out our 2019 Hyundai Kona Inventory here at Coastal Hyundai. What’s the Difference Between the 2019 Hyundai Tucson and the 2019 Hyundai Kona? This entry was posted on Friday, January 25th, 2019 at 8:00 am	and is filed under Hyundai Kona. You can follow any responses to this entry through the RSS 2.0 feed. You can skip to the end and leave a response. Pinging is currently not allowed.